Brazilian green propolis, collected by the species Apis mellifera, presents antioxidant, antimicrobial, anti-inflammatory and antitumor activities. The major component of green propolis is Artepillin C, a derivative of cinnamic acid with two prenylated groups, that improves the affinity of the compound for lipophilic environment. This may be relevant to the biological activity of green propolis in the cellular environment, in view of the initial contact of the product with the cell membrane. We used optical absorption and fluorescence techniques to study physico-chemical properties of the interaction between Artepillin C and amphiphilic aggregates commonly used as membrane models, namely, micelles and unilamellar vesicles. We examined the interaction of Artepillin C with anionic, cationic and zwitterionic micelles, and with large unilamellar vesicles of neutral and negatively charged phospholipids and positively charged lipid. Optical absorption spectra showed that the protonation state of Artepillin C is dictated by the local pH in the surface of micelles and vesicles. Fluorescence results showed that the polarity around Artepillin C decreased in the presence of micelles and vesicles, and the molecule should be located on the surface region of the model membranes. The negative charge of the compound in deprotonated state favors the interaction with cationic micelles and neutral vesicles. The effects are more prominent when the lipid micelles are in the fluid phase. 2. Pazin, W.M. et al (2017) Antioxidant activities of three honeybee stingless propolis and green propolis. Journal of Apicultural Research, 56: 40-49. 3. Camuri, I.J. et al (2018) Optical absorption and fluorescence spectroscopy studies of Artepillin C, the major component of green propolis. Spectroch. Acta A 198: 71-77. ISNAD CAMURI, Isamara Julia , COSTA, Adriano Batista , PAZIN, Wallance Moreira , ITO, Amando Siuiti . "Interaction of Artepillin C with Model Membranes: Optical Absorption and Fluorescence Spectroscopy Studies". 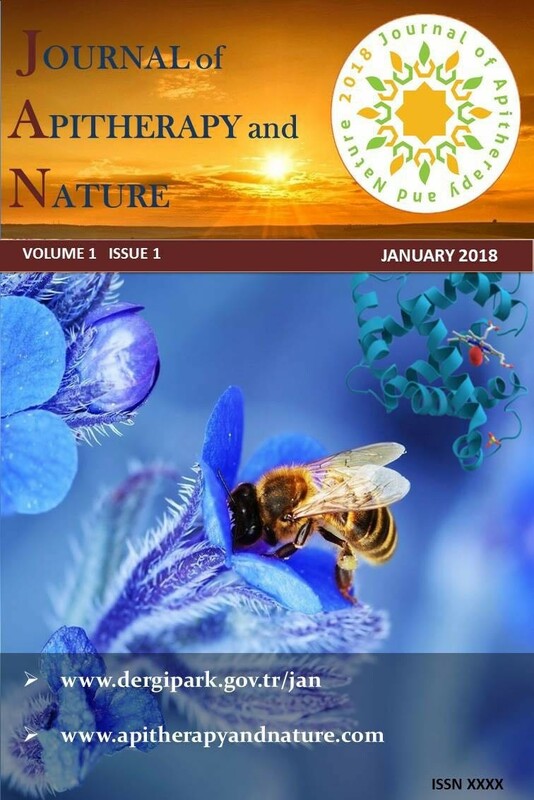 Journal of Apitherapy and Nature 1 / 3 (December 2018): 25-25.